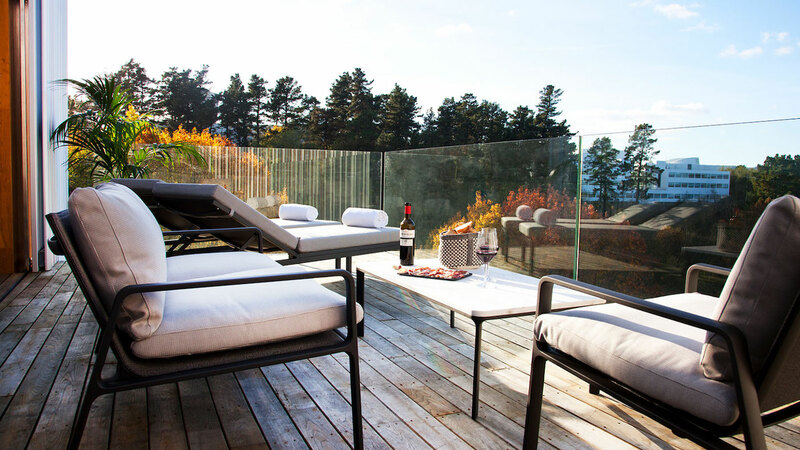 KETTAL outdoor furniture at the Arima Hotel in San Sebastian Spain compliments the timeless and welcoming design brief. 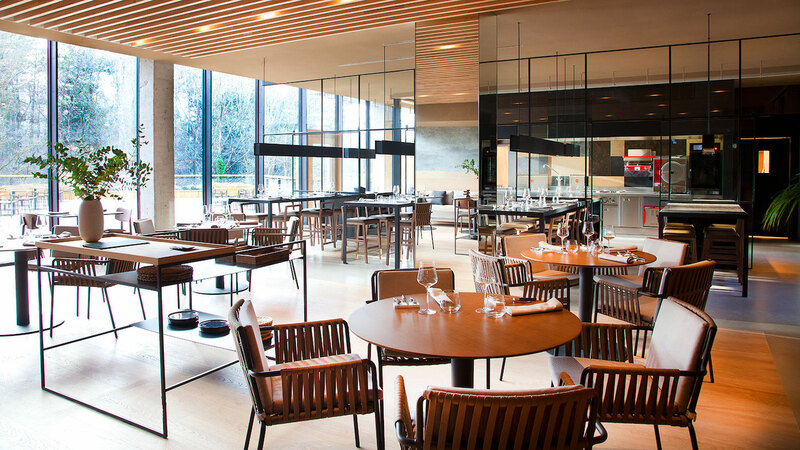 KETTAL outdoor furniture at the Arima Hotel blends with the surrounding forest location while complimenting the high-tec nature of the Hotel’s neighbourhood, the Technology Park and the Basque Culinary Center. 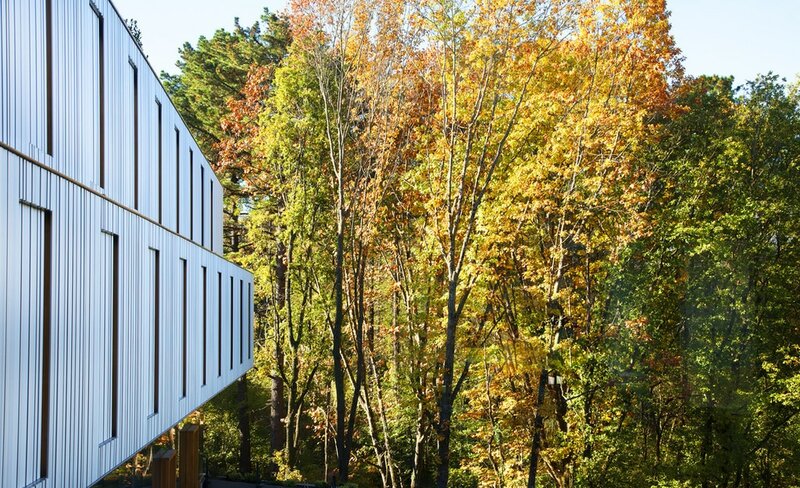 The new hotel Project of the Senso Group is located in the Miramon Forest in San Sebastian. 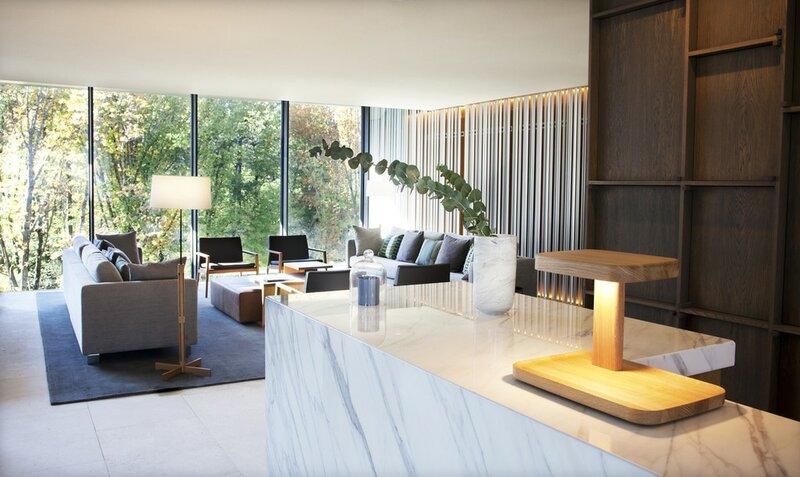 The main aim of the interior design project was to design timeless and welcoming spaces, where the incredible views over the forest were present at all times. This indoor-outdoor connection is emphasized, by giving continuity to the exterior with stone flooring towards the lobby area and the aluminum slats of the façade. The dimensions of the lobby required a space planning solution. Therefore, two vertical dividers were placed to create cozy spaces. The massive volume of raw steel integrates the fireplace, and at the same time, serves to hide the access to the elevators. The stained oak bookcase becomes the backdrop for the white marble volume of the reception. Facing the forest façade, cozy and versatile spaces were created with low furniture pieces, decorative lamps and rugs. In the rooms, a multifunction furniture piece with pure lines and noble materials was designed to allow guests to feel at home. Black tinted glass houses in its interior both the bathroom and closet. The glazing has partial opacity and functions as a lamp bringing natural light inside. 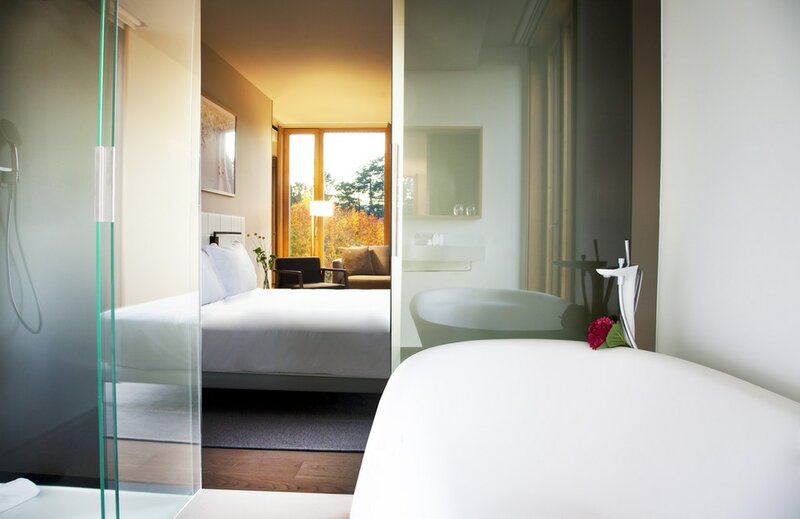 The objective to enjoy the views and natural light, was reinforced with mirrors placed in strategic positions. Kettal outdoor furniture collections used include Park Life, Landscape and Net. The Parklife sofa was used in various areas. View the collection here. The Via deckchair can be viewed here and the Net collection here. © marlanteak 2017. All Rights Reserved. Please confirm retail prices in store, prices subject to change without notice. Products subject to availability. marlanteak products are handcrafted and actual product weights and look may therefore vary. Weight and packaging is not included in product prices and shipping costs may be additional. Provided prices are for the SA showroom only.